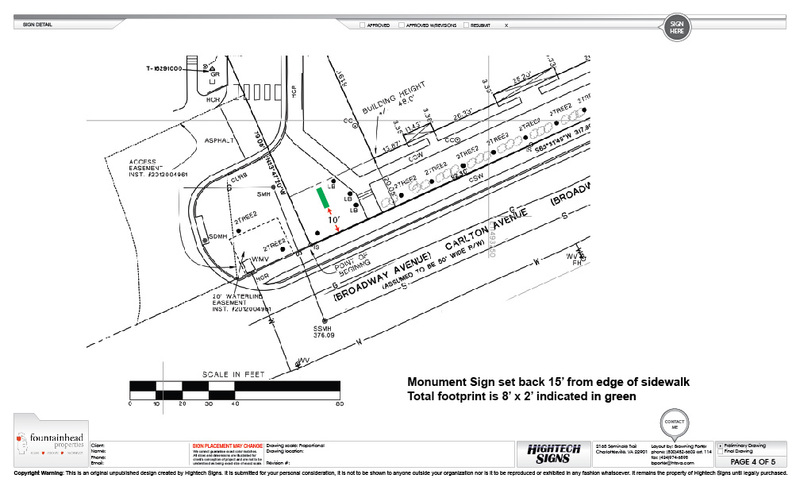 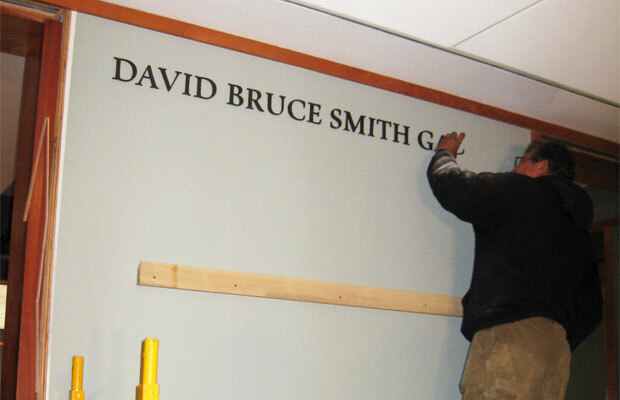 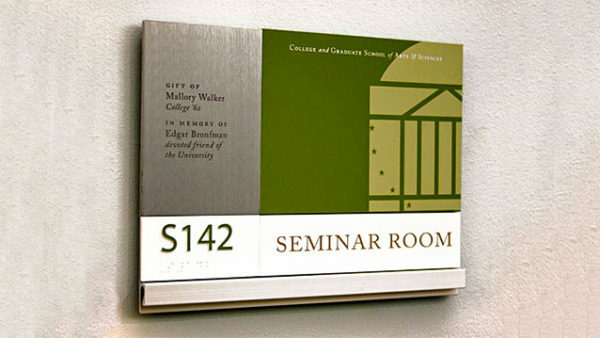 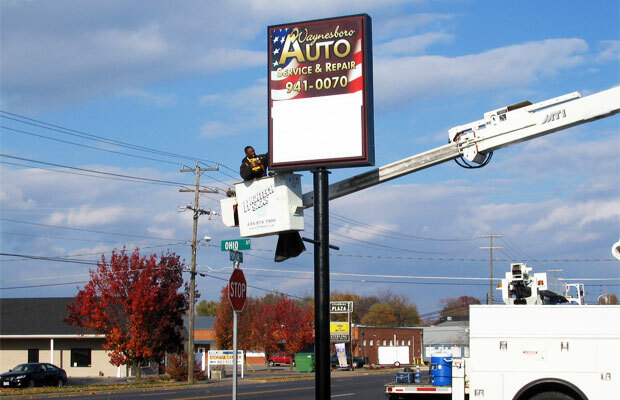 Installation and Service - Hightech Signs, Inc.
Hightech Signs is an industry leader in professional sign installation and service. 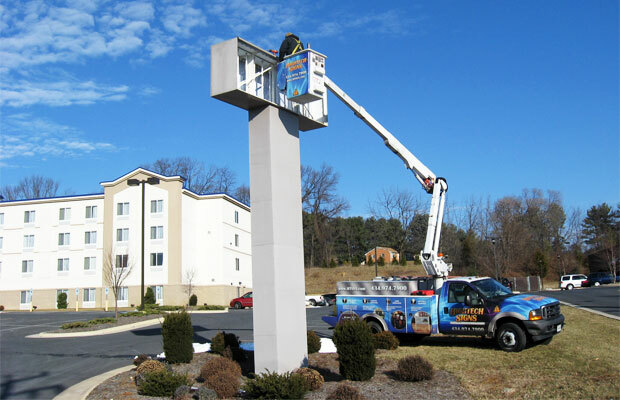 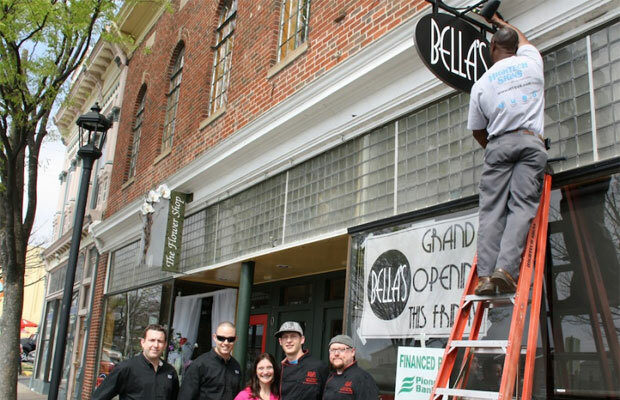 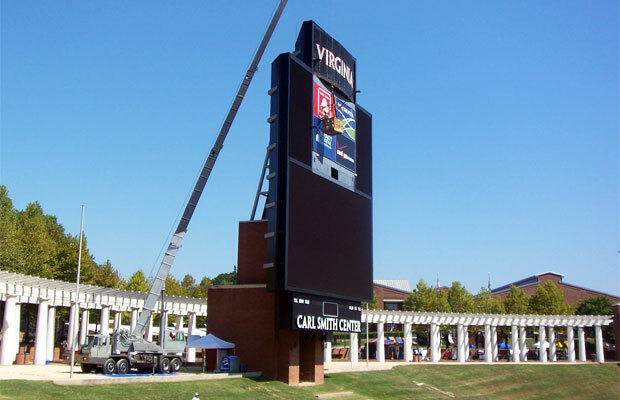 With over 30 years experience, expert electric and technical crew, and a fleet of ladder trucks, we are able to quickly and accurately troubleshoot and repair sign maintenance issues throughout the Charlottesville and Central Virginia area. 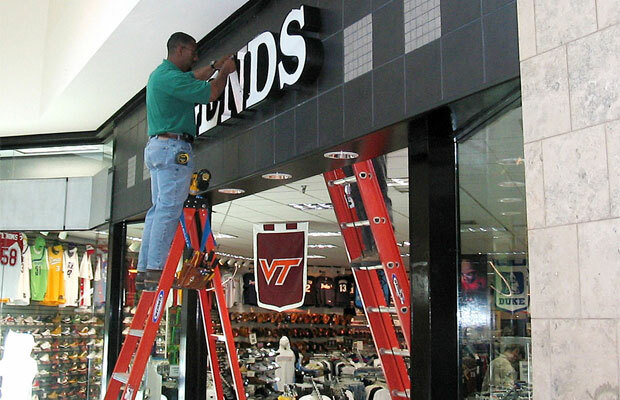 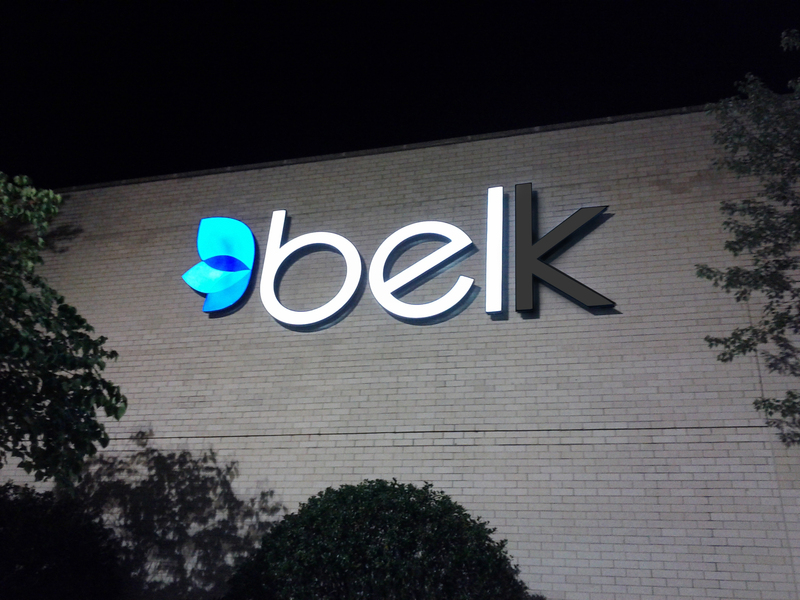 We work with all the national sign companies to maintain corporate signage standards for the top businesses in the region. 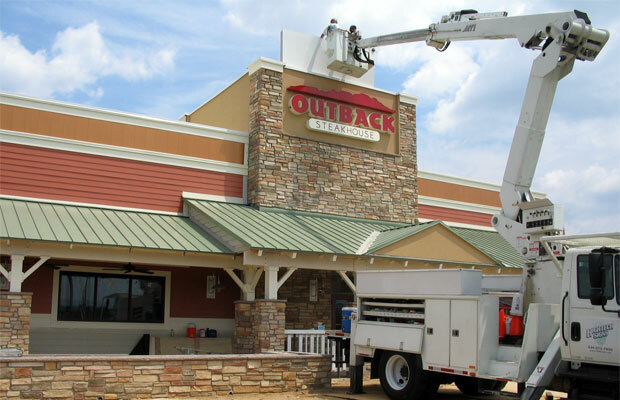 Our competitive bids, outstanding customer service and quick turn-around make us a best choice option for sign repair, maintenance and professional installation. 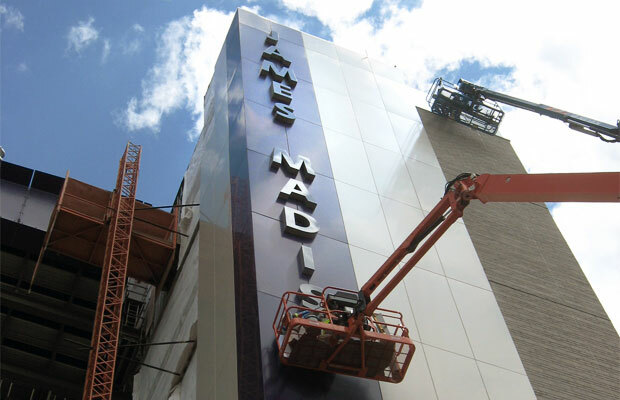 Our professional project management team and expert installation crew provides full-service, turn-key oversight of complex and technically challenging jobs.